Need Flooring Installation? Call Us! Call for Flooring, Kitchen, Bath, Office, or Entire Home Remodeling. Not only can we provide some of the highest quality products but as your General Contractor we can provide you with the highest quality service. You can also visit our 6,000sq.ft Showroom. Since 2008, Design Floor & Home has been providing high-quality floor covering products to clients in Palm Beach County and the nearby locations. 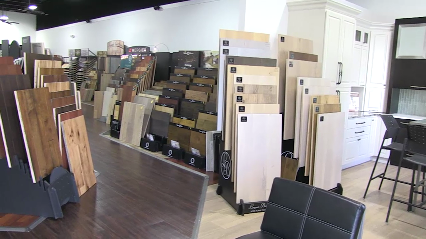 We have a huge inventory of the latest flooring products and designs to choose from at your disposal in our showroom. We are your one-stop design center for a large selection of unique flooring products for residential and commercial clients. We are passionate about helping you find the flooring design suiting your home. We have custom carpet and other flooring designs with excellent quality. Our aim is to bring your dream home to life. Customer satisfaction is our top priority even past the point of sale. Call us now at (561) 408-4826 to learn more. Call Us Now at (561) 408-4826 or Visit Our Showroom. Call Us For All Your Home Remodeling Needs! Copyright © 2018 bestflooringwpb.com All rights reserved.